A light year is the distance light can travel in vacuum in one year’s time. 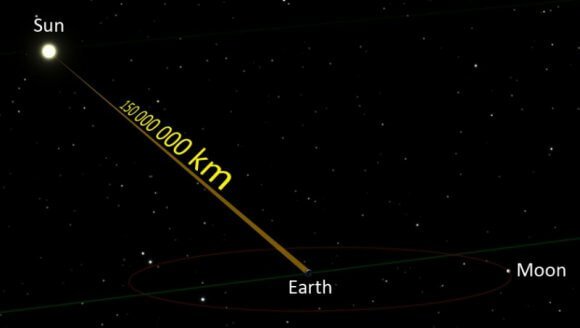 This distance is equivalent to roughly 9,461,000,000,000 km or 5,878,000,000,000 miles. This is such a large distance. For comparison, consider the circumference of the Earth when measured at the equator: 40,075 km. You can even throw in the center to center distance between the Earth and the Moon, 384,403 km, and that value would still pale in comparison to 1 light year. Pluto, at its farthest orbit distance from the Sun, is only about 7,400,000,000 km from the center of our Solar System. Because of its great scale, the light year is one of the units of distance used for astronomical objects. For example, Andromeda Galaxy, which is the nearest spiral galaxy from the Milky Way, is approximately 2.5 million light years away. Alpha Centauri, the nearest star system from our own Solar System is only 4.37 light years away. Imagine using miles or kilometers when describing the diameter of the Milky Way Galaxy, some 100,000 light years. Expressed in km or mi in expanded notation, that could occupy a lot of space on this page. 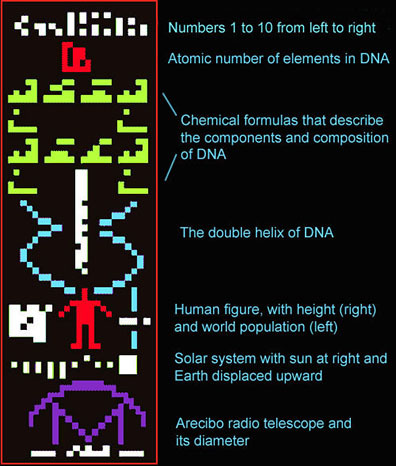 Just look at the first paragraph, wherein we described 1 light year, to see what I mean. Of course, one may argue that we can still use scientific notation. But well, some people easily get daunted by the mere sight of exponents. Although the light year has a more familiar ring to us, having perhaps heard about it quite often in sci-fi films or in magazines, it is not the most widely used unit of distance in astrometry, the branch of astronomy that deals with measurements and positions of celestial bodies. That assignment is given to the parsec. 1 parsec is approximately equal to 3.26 light years. Another commonly used unit of distance is the astronomical unit or AU, wherein 1 AU is the average distance between the Earth and the Sun, and is roughly equivalent to 150,000,000 km. It is normally used when describing distances within the Milky Way. Always remember that the ‘year’ we have been referring to here is not based in the internationally-accepted Gregorian Calendar. Instead, ‘year’ here refers to the Julian year. 1 Julian year is equivalent to 365.25 days or 31,557,600 seconds. The Julian calendar does not designate dates, hence is different from the Gregorian Calendar.